Cast: Kimura Takuya, Takeuchi Yuko, Matsuyama Kenichi and Kimura Fumino. 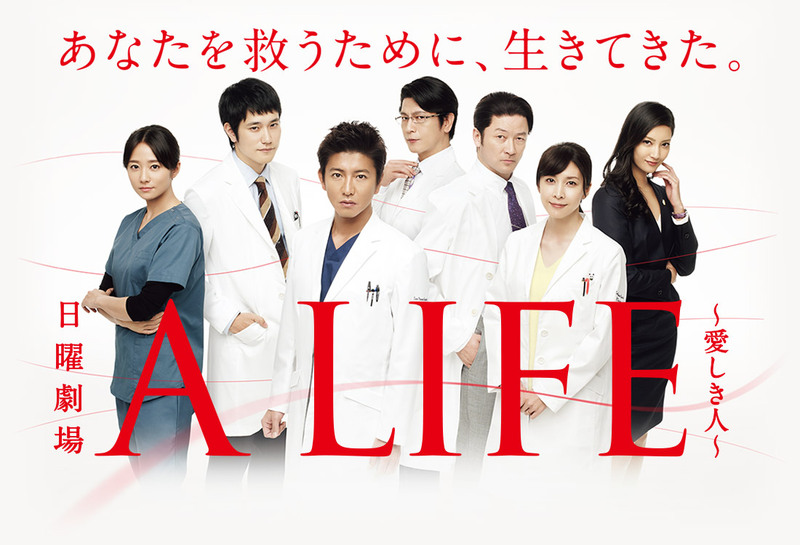 Okita Kazuaki (Kimura Takuya) is a well-known surgeon working in Seattle. He is called back to Japan to do a surgery on his old mentor and chief, who is the father of his ex-girlfriend Danjo Mifuyu (Takeuchi Yuko). Having left Japan suddenly 10 years ago, he and Mifuyu hadn’t had time to work on their relationship, so she had decided to accept a proposal from Masao (Asano Tadanobu), Kazuaki’s best friend. After returning and finishing the surgery, Kazuaki can’t wait to go back, but is asked to stay by Masao. He is asked to stay to do a brain surgery on Mifuyu, as Masao himself believes he is unable to do surgery on a loved one. So, he asks Kazuaki to do it, since he doesn’t have feelings for Mifuyu anymore… or does he? Okay, I had the hardest time writing this summary. After watching 10 episodes I realized that the main plot and storyline really does not look good on the screen. I don’t really understand what the purpose or where supposed growth in Kimuras character went? I thought he was a main character, but he felt like an overrated second lead. I don’t understand what the meaning of this drama is? I get that the acting was good, but I felt no evolving story. They tried to make it “interesting”, but I felt it was rather an unnecessary story to be told. Ive seen movies and dramas that work at a much slower pace, with less story, and yet I am so disappointed in this drama that not even the acting could make me recommend it. I can’t even explain my ratings. I guess the only thing I can say is watch it, and judge for yourself.